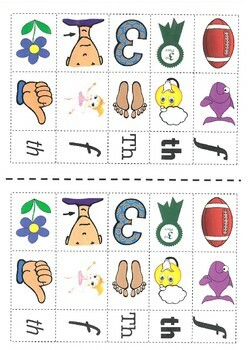 Sorting pictures according to their initial sounds can be very challenging for young students. 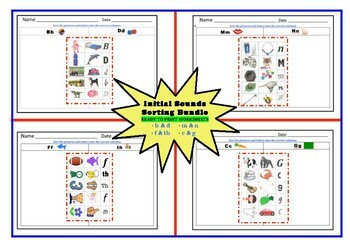 This bundle includes combinations of 8 common sounds that are often confusing to differentiate between. 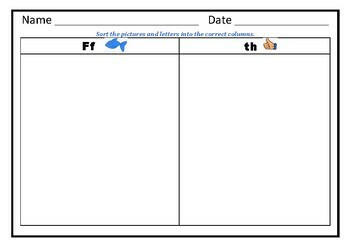 Each worksheet follows the same simple cut and paste format, giving students an opportunity to sort a variety of colourful pictures, and letters in a variety of fonts. 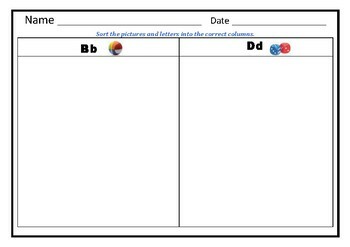 Please see my other resources if you're interested in single sound differentiation worksheets, rather than a bundle.